The main reason for having a teacher is that they teach you things; that’s what teachers do. In an ideal world, you would be able to find a great teacher, perhaps online, and start learning right away. Your teacher would understand exactly what you want, what you need and how to give it to you in the best possible way. Learning Chinese would be a journey of wonderment and joy, diamonds would rain from the sky, and everyone would live happily ever after. Alas, we don’t live in such a world, so finding a good Chinese teacher is not that easy. However, there are some things you can do to improve your situation even if you have’t found the perfect teacher. Or, in other words, you can train your Chinese teacher! I don’t mean teaching them their own trade, hopefully they know something about that already, I mean training them to teach you in a way that is suitable according to your needs, goals and preferences. This article is the first in a series where we will look at the student-teacher relationship from the student perspective. However, the articles will be equally useful for teachers; you just need to flip the perspective. 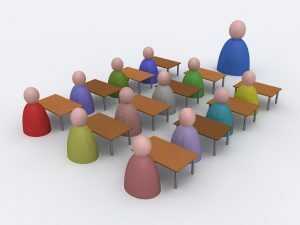 In this first article, we’ll look at some basic principles, including why you want a teacher, what alternatives there are, what some of the fundamental requirements are and what you need to keep in mind when working on your Chinese with a teacher. Let’s set the stage by discussing why you need a teacher to learn in the first place. I have invested a lot of effort teaching students to be more independent and rely less on their teachers and textbooks, but that doesn’t mean that I recommend learning Chinese without a teacher. A teacher can provide invaluable guidance and feedback, as well as scaffolding and tailoring your learning experience in a way that is impossible without a teacher. Beginners need teachers primarily for guidance, showing them what to learn and answering questions about Chinese. Naturally, they also need lots of feedback, especially on pronunciation. Advanced learners also need teachers, but the emphasis on feedback is much stronger here. Drills can be very useful. Teachers can also challenge advanced learners, encouraging them to leave their comfort zone and expand their horizons. How much time you spend with a teacher depends on how much money and time you have, along with how much you enjoy doing things on your own. In this and subsequent articles, I will assume that you have access to a teacher for a limited amount of time, and that this time is precious, either because you have to pay for it or because you’re busy with other things. I use teacher in the title of this article in the sense of someone teaching you Chinese. 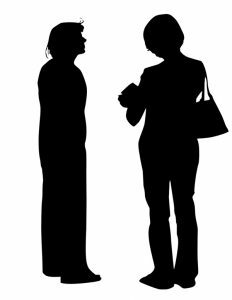 It could be someone with certificate and formal training, someone you hire to help you out in private, someone you do language exchange with, or simply a friendly native speaker who agrees to help you. While this article series is relevant for all these cases, it’s important to be aware of the difference. A trained teacher with years of experience will probably already do most of the things I will recommend in this series, but it’s not guaranteed. If you’re paying someone money to teach you, you have the right to expect a certain standard. The more you pay, the higher the standard. You can also be more direct in terms of training your teacher if you have a strictly professional relationship with them; if it doesn’t work out, you can just find another teacher. If you’re not paying your teacher, you need to be much more careful; demanding that a friend teaches you in a certain way because you like it more, or request that a language partner talks with you in a particular way because some guy on the internet told you it’s good, could be bad for your relationship with that person. What I’m saying is that you need tact and some social agility to apply the advice I have to offer; trying to implement everything immediately is a recipe for disaster. The best way of thinking of it is that successful learning requires that teacher and student work together: you need to adapt to your teacher and the language, but your teacher also needs to adapt to you. That’s what this series is about. Naturally, the advice I have to offer here will be most useful for students who have one-on-one lessons with a teacher, since that allows for more flexibility. While the advice is equally applicable to a class of twenty students, your ability to influence what the teacher does drastically decreases as the number of students increases. It goes without saying that the teacher can’t adapt too much to you as an individual if there’s a whole class of students to take care of. I will not focus on this issue in this series. As I mentioned in the introduction, we’re not living in an ideal world when it comes to the state of Chinese language teaching. 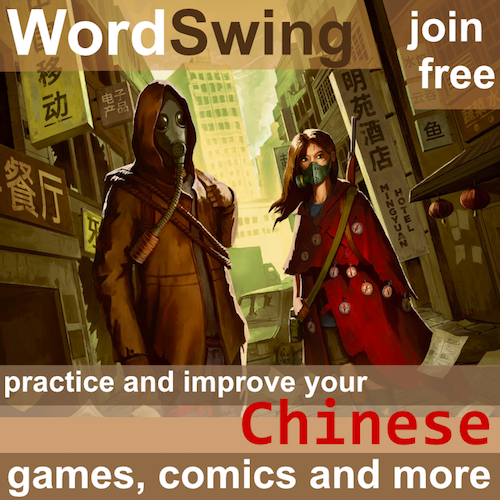 If you’re new to learning Chinese, perhaps to learning any foreign language, you might not know that this is the case, but you can take my word for it when I say that there’s a lot of room for improvement. And even if all teachers were great, they would still need to adapt to each individual student! Naturally, there are many excellent teachers out there, but there are also teachers that are merely good, many who are mediocre and some that are outright bad. I say this based on all the teachers I’ve had myself, all those that I have come into contact with in my work with professional development for Chinese teachers, and the countless discussions I’ve had with students from all across the world. I also teach Chinese myself and know what I’m doing wrong. How good a teacher is doesn’t only depend on her abilities and knowledge. To perform well, a teacher also needs enough time, the right resources and supporting educational infrastructure. It is rarely the case that teachers have these in abundance, so don’t judge to harshly; a bad teacher could equally well be an excellent teacher who is stressed out and don’t have time to cater to your needs. This article series is by no means meant to blame any individual teacher! Of course, finding a good teacher is important. The better your teacher is to start with, the less effort you need to spend improving your learning situation. Therefore, it makes sense to invest some time find a good teacher. Sadly, there are few shortcuts here, and the best offer I have to give is to try many teachers before you decide whom you want to study with. Quality is at least partly related to price, but there are great teachers who charge almost nothing too. I’m planning a separate article about finding a good teacher, but for now, I will just recommend doing a search online. 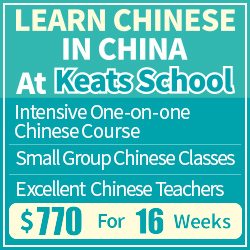 You will find dozens of services that offer to teach you Chinese at various price levels. Many offer free trial lessons. Try several before you decide! If you want to pay with your time instead of your hard earned yuan, search for language exchanges instead. If you’re looking for an offline solution, you are much more limited and can’t afford to be very picky, unless you live in a Chinese-speaking environment where it should be easy to find teachers and tutors. Before we discuss training your teacher directly, let’s remind ourselves that what you do as a student is incredibly important. I don’t want to give anyone the impression that training your teacher is more important than being a good student. After all, a good teacher can’t do much if the student doesn’t put in the effort; but a diligent student can get far even if the teacher isn’t great. Know what you want – Students are different in many ways. One of the most important areas is why they are learning Chinese. This is also an area where your teacher should use completely different approaches depending on what you want to achieve in the long term. Someone who wants to speak with a spouse is very different from someone who wants to read Romance of the Three Kingdoms in Chinese. If you’re not conscious about what you want to achieve, you can’t really expect the teacher to adapt to it, can you? 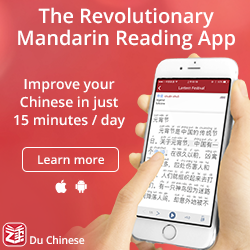 Take responsibility for your own learning – I have said this so many times I risk becoming hoarse (or at least wearing down the letters on my keyboard), but you’re the one learning Chinese. You need to take charge of your learning. Even with an excellent teacher, you need to be aware of what you might be missing because of curriculum considerations, time restraints or mere neglect. Be aware of time quality and triage your questions – This answers the question of when to study what. When it comes to being taught Chinese, strive to focus on things where you actually need a teacher, since the time you have a teacher available is the highest quality of time you have. Read more about time quality here. In the same vein, practise language question triage and make sure you don’t waste teacher time on problems you could have solved on your own. Preview before every lesson – Doing so will improve your learning experience and it will free up your teacher to focus on things you wouldn’t be able to do if you hadn’t previewed. Read more here: Why you should preview before every Chinese lesson. Review what you have learnt – The same principle applies after lessons. If you don’t review what you have learnt, you’re essentially wasting both your own effort and the teacher’s. Don’t do it! Steaming ahead feels great, but don’t forget to consolidate the Chinese you have already studied. Be open minded and maintain a positive attitude – This creates a constructive atmosphere and makes learning both more enjoyable and effective. Embrace the oddities in the Chinese language; don’t reject them. Chinese is fascinating and exciting, not weird and stupid. When your teacher gives you feedback, be grateful; it’s one of the most useful things you can get from her. If you react defensively, you’re likely to get less feedback moving forward. Now, let’s look at the other side of the equation; what do you want your teacher to do? Focus on one thing at a time – This is my biggest pet peeve: teachers tend to try to teach you too many things at once. If they correct you on a tone in a sentence and you try again, they point out that the word order is wrong. When you fix the word order, they switch focus again. This is true for instructors of all kind, not just language teachers. The best way of changing this is to put the blame on yourself: just say you find it hard to focus on more than one thing at a time. Limit the amount of new language – My second biggest pet peeve is that teachers often gravely underestimate the difficulty of absorbing new characters, words and grammar. Going to class often feels like being in a typhoon of stuff you’ve never seen before and will forget as soon as the lesson is over. It takes hard work to learn something, and the amount of new language in a lesson should be kept low. The best way to alleviate this as a student is to try to stick to content agreed upon in advance (that you can therefore preview properly). Telling the teacher that you want to learn how to use what you have already studied before you learn new things can also work. Be aware of time quality – This has already been discussed from a student perspective, but the teacher also needs to keep this in mind. As a student, you want your teacher to focus on activities you can’t do without the teacher. This includes being exposed to Chinese adjusted to your level (see the previous bullet point), working on your pronunciation, answering tricky questions you can’t figure out easily yourself, giving you plenty of examples of how grammar works and so on. Your best way to approach this as a student is to make sure you do your homework so you don’t have to do it in class. Teach the language instead of teaching about the language – This should be obvious, but many teachers spend way too much time talking about the language. One glaring example of this is teaching beginners the names of the strokes of Chinese characters. You need to learn to write the characters; you do not need to know what the individual strokes are called. This is a tricky one to address as a student, partly because it can be hard to know what is relevant and what isn’t, partly because you’re basically questioning whether what you’re doing is useful or not. In my opinion, teachers should always be able to give a good motivation as to why they do something. 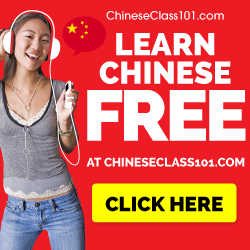 Stick to Chinese as much as possible – This ought to be obvious, too, but in many Chinese classrooms around the world, the teacher is much more likely to speak the students’ native language than Chinese, especially in beginner classrooms. This feels safer for the students and it’s easier for the teacher (provided that she speaks the students’ native language, of course). Both teachers and students give up too early, reverting to their native language instead of persevering and trying to get through in Chinese. As a student, don’t give up! Encourage your teacher to repeat something many times, perhaps more slowly or slightly rephrased until you get it. Sticking to the target language will pay off in the long run, even if it is more demanding. I have discussed target language usage in the classroom here: Will a Chinese-only rule improve your learning? Give constructive feedback – Feedback is, along with student-adjusted language, one of the few things you almost have to have a teacher to get. Still, many teachers hesitate to correct students’ pronunciation or rearrange their sentences so someone outside the classroom would understand what they’re saying. This can easily cement errors that will be almost impossible to fix later (believe me, I’ve been through it). I have already discussed what you should do as a student: treat feedback as a precious gift, tell your teacher you want her to correct your errors (albeit one at a time; see the point about limiting the focus above). This list could have been made much longer, but rather than turning this article into a treatise on teaching Chinese, I’ll leave the list for now. 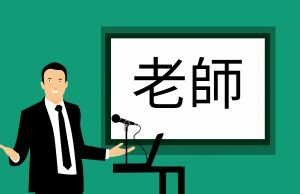 I might return to it after finishing the other articles in this series, to reevaluate what are actually the most important general things you can do to train your Chinese teacher. As a student, what is your experience of being taught Chinese? Is any of the advice offered in this article relevant for your teacher? Are you doing what you can as a student? I’m curious to hear what you have to say, so please leave a comment below! Great idea for a series. I look forward to the future installments. To reinforce your theme that students have differing needs, I’ll question your disapproval of teaching stroke names to beginners. My first encounter with Mandarin came in a Coursera course about Chinese characters, and I’m sure that I’ll always have the instructor’s voice in my head saying heng, shu, pie, and the rest of the names. Some HSK textbooks also expose beginners to Mandarin grammatical terms. I don’t think that I’m making a mistake by learning those at any early stage. Other (maybe most) people may choose not to learn them. Yes, that’s why it’s important to know what your goals are! With the goals that most students have (which are communicative in some way), I don’t think that learning stroke names as a beginner is an efficient use of time. If your main goal is to learn characters, though, then it makes sense to learn the stroke names sooner rather than later. Still, I cant help but thinking that going through stroke order in class is very inefficient. With computers and phones, it’s so easy to look up and teacher could have done something else which you can’t do yourself (such as spending more time checking your characters, for example).